According to the company, the biggest feature it worked on for this release is the project references as it aims to make it easier to work through several different build steps. “Project references allow TypeScript projects to depend on other TypeScript projects – specifically, allowing tsconfig.json files to reference other tsconfig.json files. Specifying these dependencies makes it easier to split your code into smaller projects, since it gives TypeScript (and tools around it) a way to understand build ordering and output structure. That means things like faster builds that work incrementally, and support for transparently navigating, editing, and refactoring across projects. Since 3.0 lays the foundation and exposes the APIs, any build tool should be able to provide this,” the company wrote in a post. 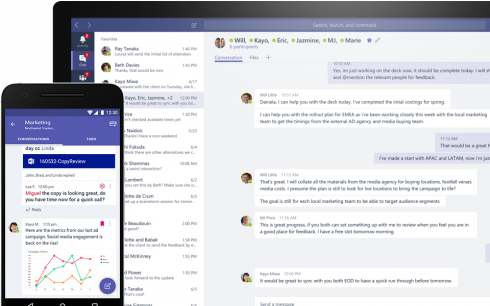 Microsoft is releasing a free version of its team collaboration solution Microsoft Teams. The free collaboration tool will be available in 40 languages and is designed for smaller businesses and groups of employees who don’t use commercial Office 365 subscriptions. The free version can include up to 300 people and features unlimited chat messages and search, built-in audio and video for calling, 10 GB of team file storage, and unlimited app integrations. GitHub is updating its security alerts feature to include Python. As part of the Python support, users can access the dependency graph and receive alerts on repositories and packages with known issues. In addition, the team plans to add more Python vulnerabilities to the database and monitor the NVD feed and sources. Highlights of the release include: a fixed XSS vulnerability, improved query elements, inline SVGs enhancements and fixed issues with double transitions. More information is available here.